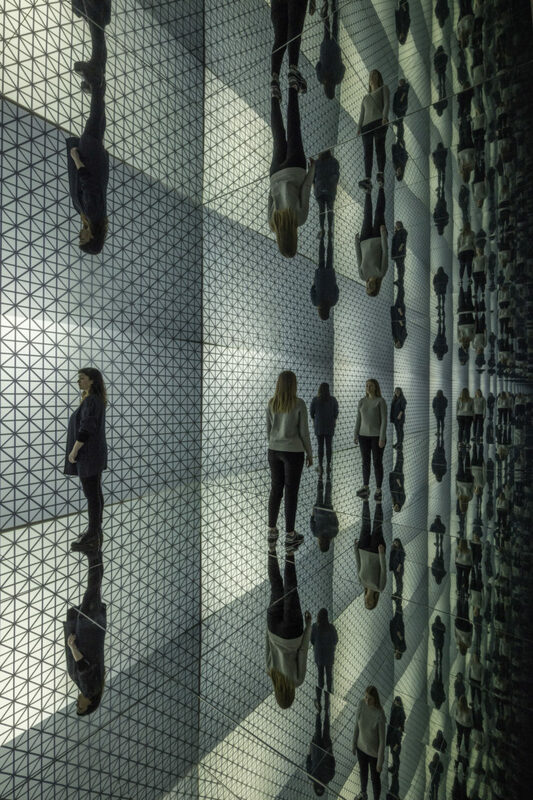 Instead of running after time, attempting to zoom in on the present moment, the tendency is now towards zooming out on other and bigger temporalities. 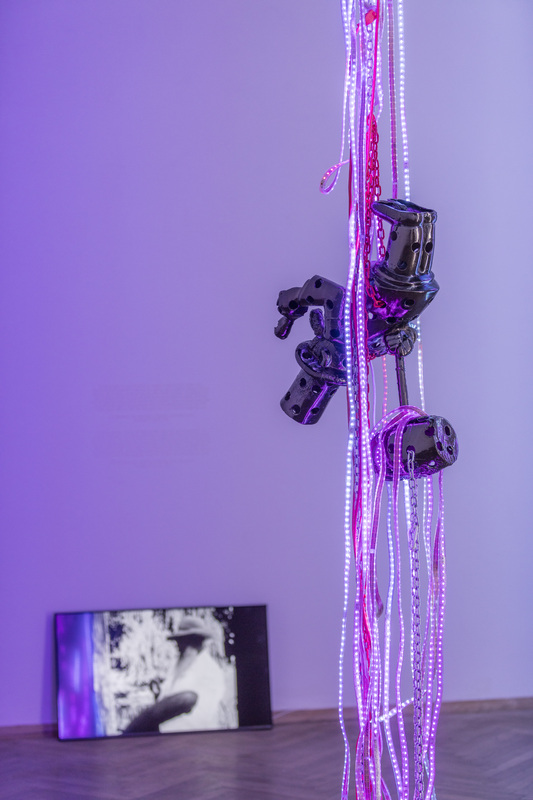 This is the premise for the group exhibition Welcome Too Late in light of changes such as explosive population growth, rising temperatures and sea levels, automation, artificial intelligence, growing inequality, prospects of eternal life, resurrection of animal species and mass extinction. 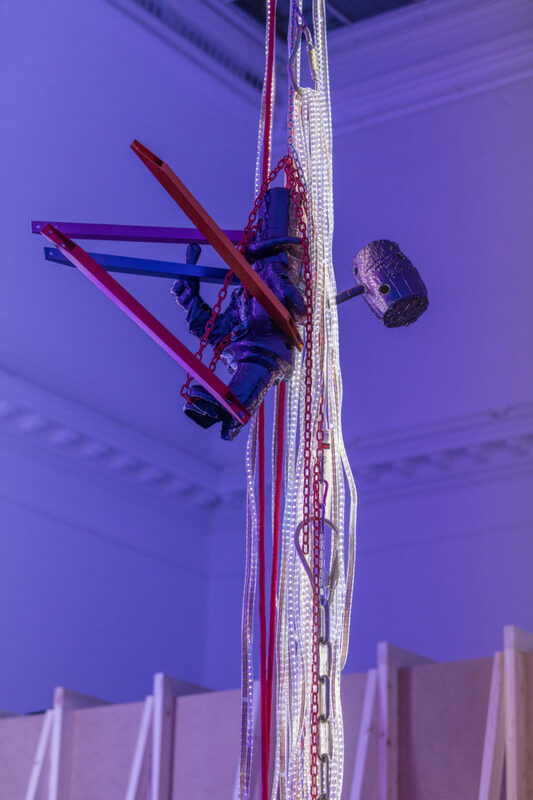 The exhibition presents sculptures, installation and movies by younger artists on the scene like Iain Ball (1985, UK), Marguerite Humeau (1986, FR), Katja Novitskova (1984, EE), Parker Ito (1986, US), alongside slightly older exponents such as Anne De Vries (1977, NL), Tue Greenfort (1973, DK) and the pioneer Eduardo Terrazas (1936, MX). 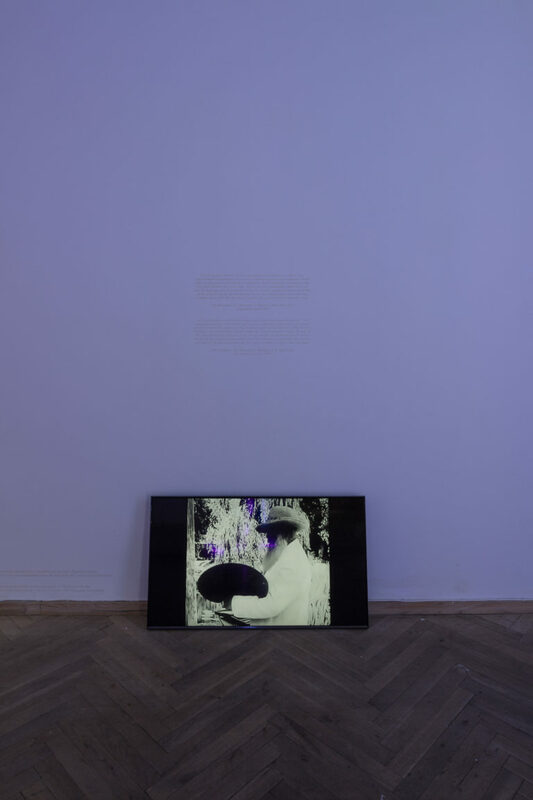 In addition, an exhibition related film program is shown at Kunsthal Charlottenborg’s Cinema with works by Korakrit Arunanondchai (1986, TH), Joey Holder (UK, 1984) and Simon Dybbroe Møller (1976, DK). The selected artists are all thinking beyond our volatile present to understand the major developments which are rapidly changing the world. 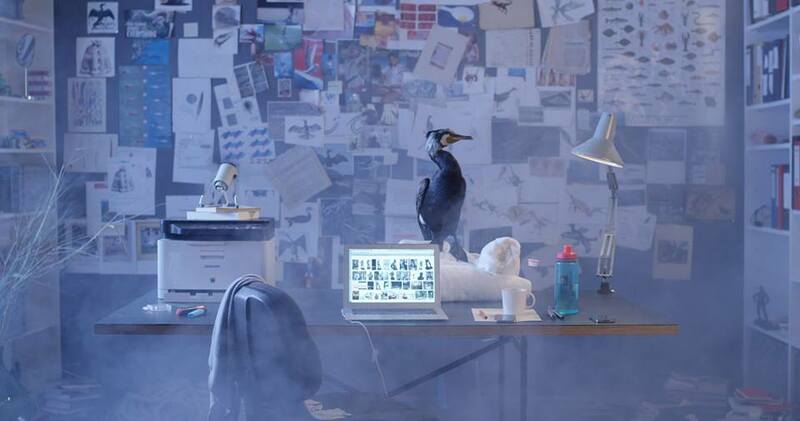 Welcome Too Late is presented in collaboration with the documentary film festival CPH:DOX. Korakrit Arunanondchai: with history in a room filled with people with funny names 4 + There’s a word I’m trying to remember, for a feeling I’m about to have (a distracted path towards extinction). Read more about the films. 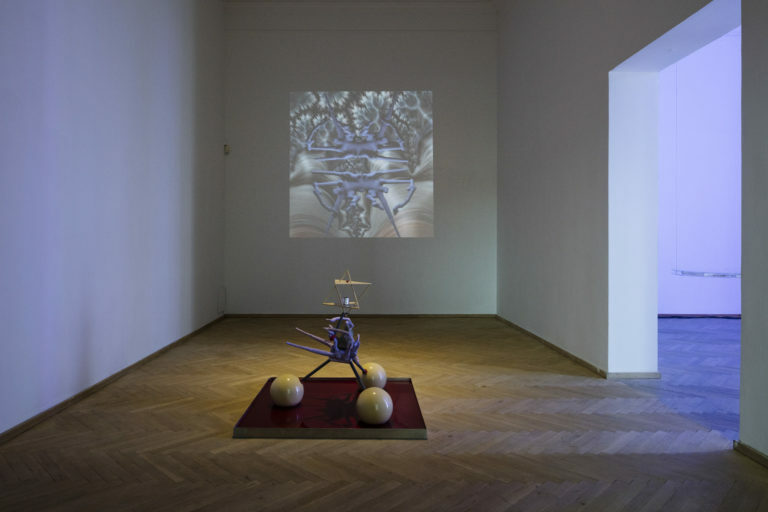 Simon Dybbroe Møller: Animate V (2012), Untitled (How Does It Feel (2014), Comorous (2016). Read more about the films. 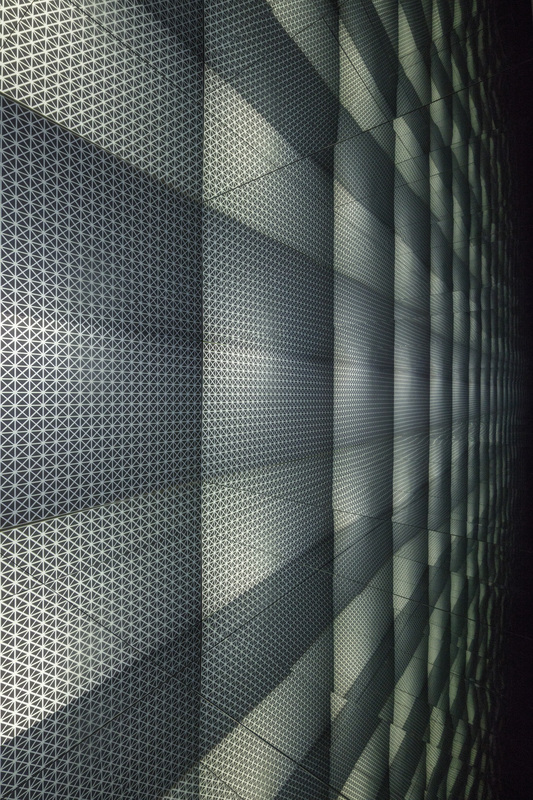 Cécile B. Evans: Hyperlinks or It Didn’t Happen. Read more about the screeningen. Joey Holder & Dane Sutherland: XGLULX: The Exegesis of Swamp Brain (Live video performance). Read more. Art Viewer: "Welcome Too Late at Kunsthal Charlottenborg". Presentation. Kunstkritikk: Faster, faster! Review Mousse Magazine: "Welcome Too Late at Kunsthal Charlottenborg." Presentation Kunstkritikk: Ten Questions: Toke Lykkeberg. Interview. Embassy of Denmark in Korea: Welcome Too Late. Recommendation. Copenhagen Post: The Changing Nature of Time. Recommendation. Hyper Allergic: "Artists Dream Up Digital Dystopias" Mousse Magazine: "Zombie Formalism, Neo Ex, and the Market as Critic"
Iain Ball, "(Rare Earth Sculptures) Terbium", 2015. Raw bay mud, printed plastic, Red Lizard Mustika Pearl - type C1 (IND33), CNC milled aluminum, stainless steel, Vibe-Tribe troll 2.0 10W Bluetooth Vibration resonance speaker, GOCH - Terbium Energy Catalyst (QNSOO1) Quantum Natives / Energy Pangea, Terbium Dark Psy Energy Pack, aluminum, water. 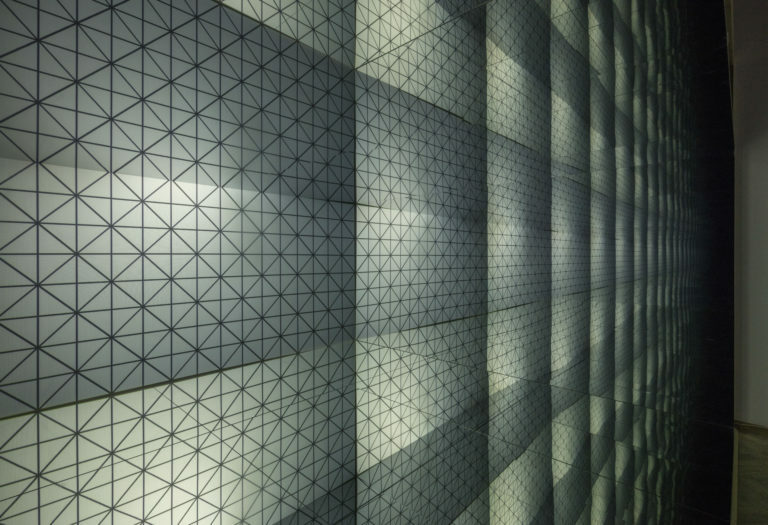 Courtesy of the artist and Future Gallery, Berlin. Photo by Matthias Kolb. 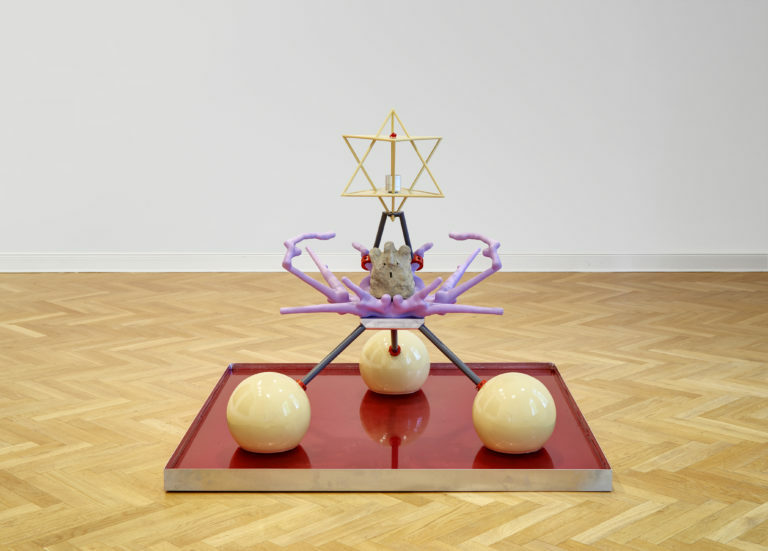 Iain Ball, "(Rare Earth Sculptures) Terbium", 2015. Raw bay mud, printed plastic, Red Lizard Mustika Pearl - type C1 (IND33), CNC milled aluminum, stainless steel, Vibe-Tribe troll 2.0 10W Bluetooth Vibration resonance speaker, GOCH - Terbium Energy Catalyst (QNSOO1) Quantum Natives / Energy Pangea, Terbium Dark Psy Energy Pack, aluminum, water. 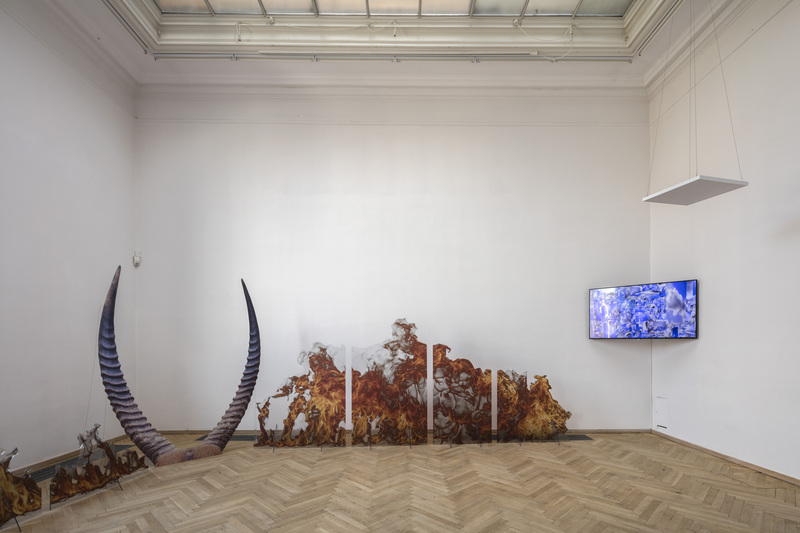 Installation view, Kunsthal Charlottenborg, 2017. Photo by Anders Sune Berg. 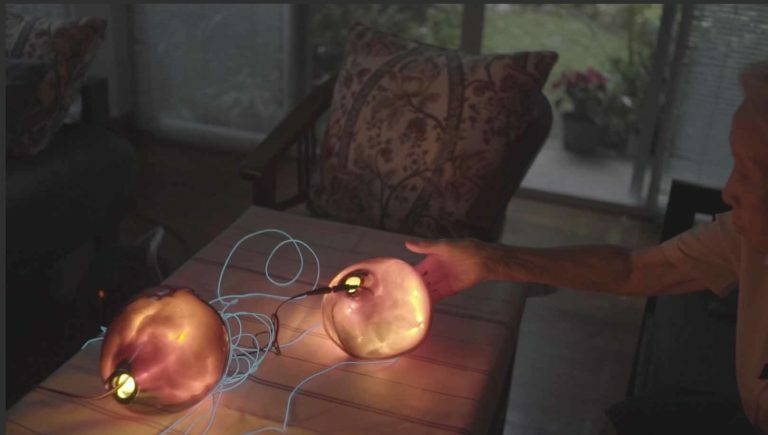 Iain Ball, "(Rare Earth Sculptures) Terbium", 2015. Raw bay mud, printed plastic, Red Lizard Mustika Pearl - type C1 (IND33), CNC milled aluminum, stainless steel, Vibe-Tribe troll 2.0 10W Bluetooth Vibration resonance speaker, GOCH - Terbium Energy Catalyst (QNSOO1) Quantum Natives / Energy Pangea, Terbium Dark Psy Energy Pack, aluminum, water. + Eduardo Terrazas, "Parteaguas (Turning Point)", 1975-2013. Digitalprint. 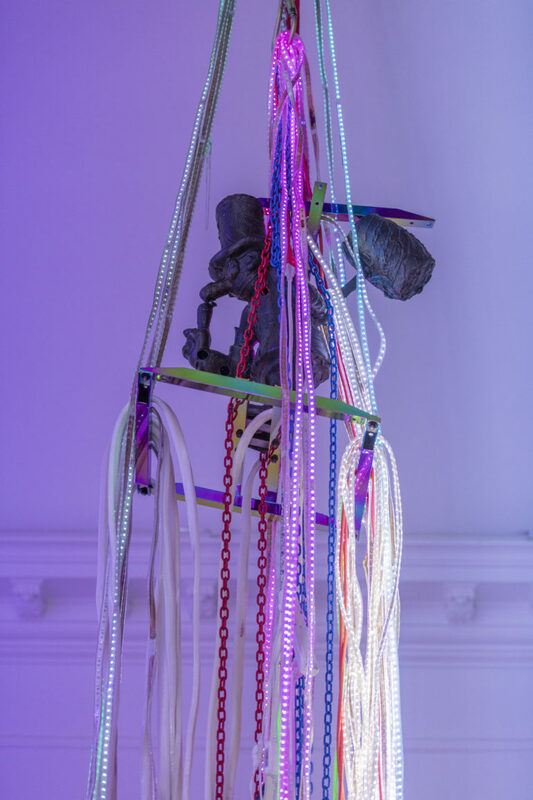 + Katja Novitskova, "Expansion Curves (fire worship, purple horns)", 2016. Digital print on pet-g, digital print on aluminum dibond, plexiglass. 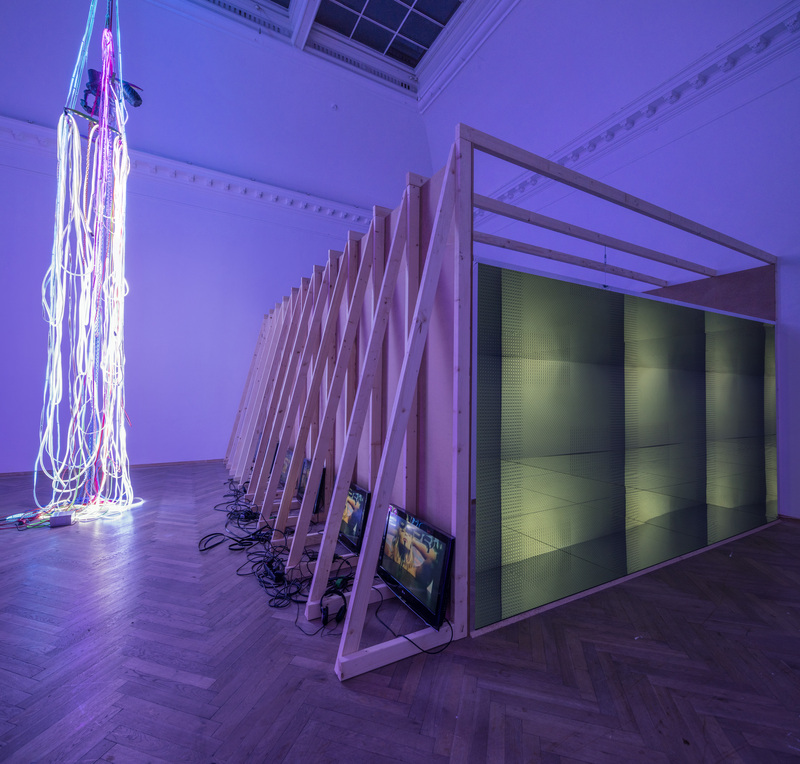 Installation view, Kunsthal Charlottenborg, 2017. Photo by Anders Sune Berg. Anne de Vries, 'Forecast', 2011. HD video 5.04 min. 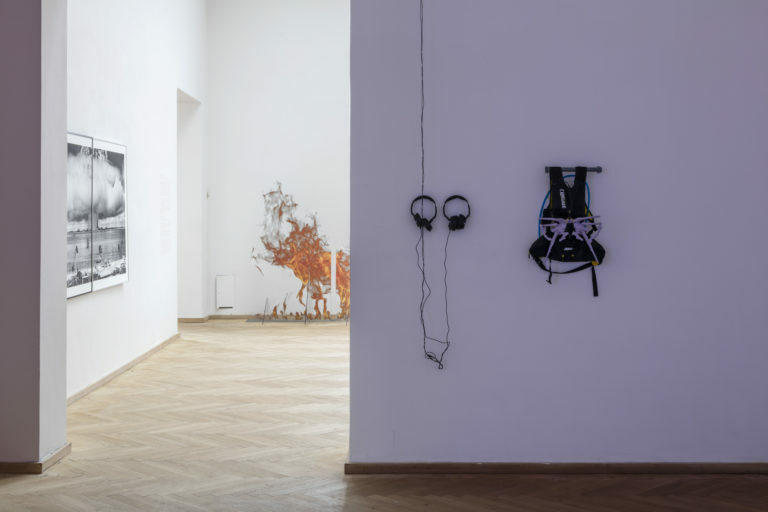 Installation view from Kunsthal Charlottenborg, 2017. Photography by Anders Sune Berg. 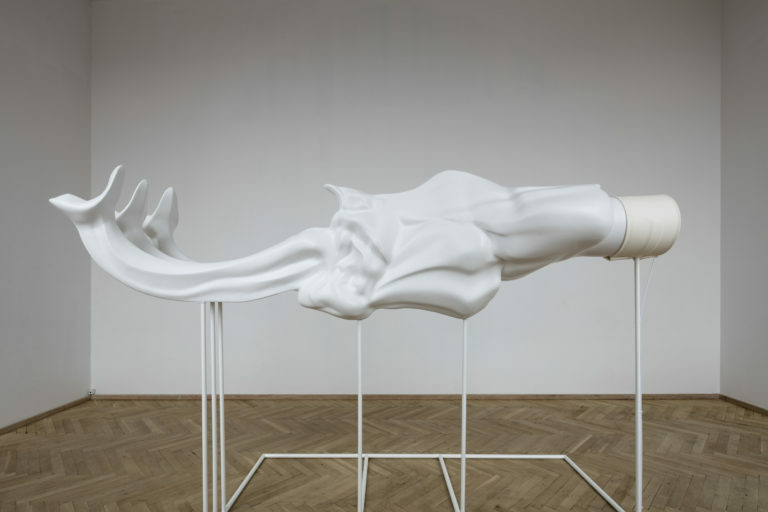 Marguerite Humeau, "Gisant 1", 2016. Polystyrene, fibreglass, resin, white paint, acrylic parts, latex, nylon, speaker, hardware, sound, powder-coated metal stand. 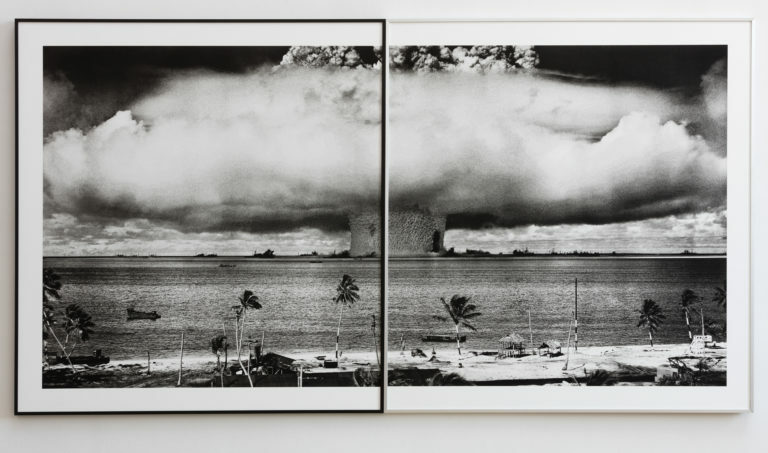 & Anne de Vries, 'Forecast', 2011. HD video 5.04 min. 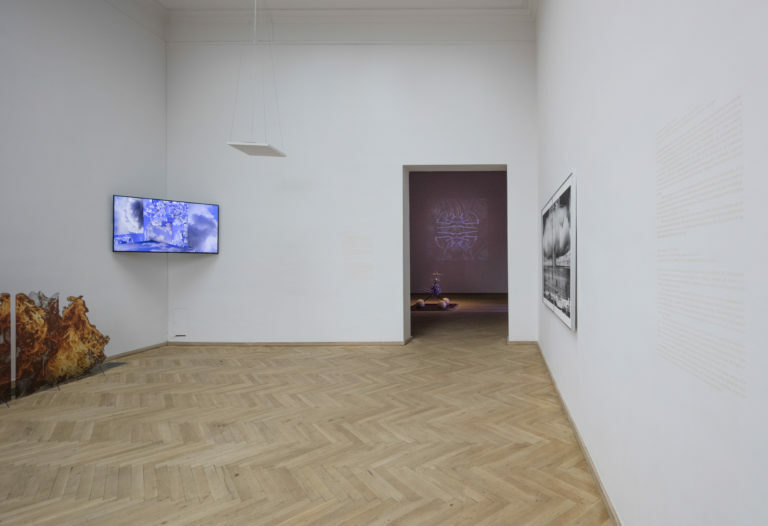 Installation view from Kunsthal Charlottenborg, 2017. Photography by Anders Sune Berg. 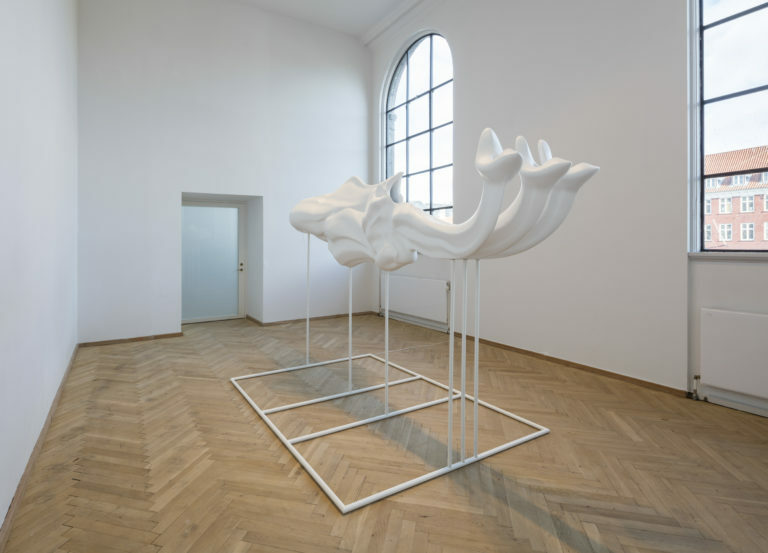 Marguerite Humeau, "Gisant 1", 2016. Polystyrene, fibreglass, resin, white paint, acrylic parts, latex, nylon, speaker, hardware, sound, powder-coated metal stand. Installation view, Kunsthal Charlottenborg, 2017. Photo by Anders Sune Berg. 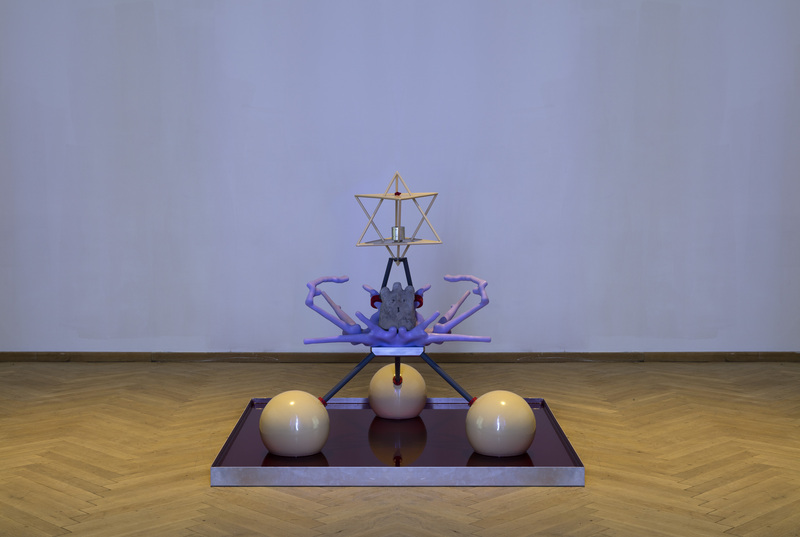 Katja Novitskova, "Expansion Curves (fire worship, purple horns)", 2016. Digital print on pet-g, digital print on aluminum dibond, plexiglass. 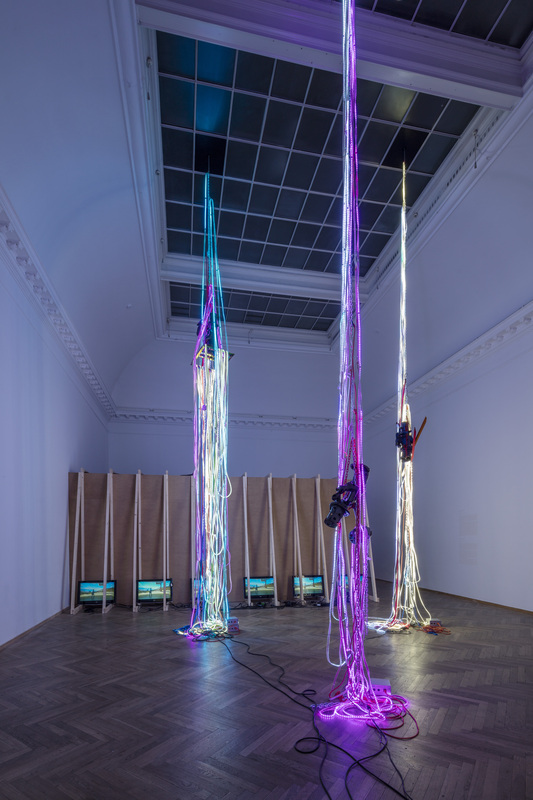 Installation view, Kunsthal Charlottenborg, 2017. Photo by Anders Sune Berg. 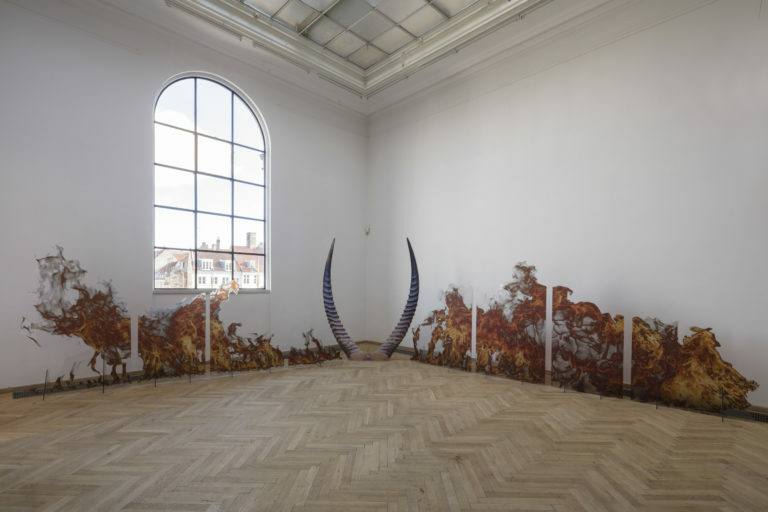 Katja Novitskova 'Neolithic Potential (fire worship, yellow horns)', 2016 & + Anne de Vries, "Forecast", 2011. HD video 5.04 min. & Iain Ball, "(Rare Earth Sculptures) Terbium", 2015. Raw bay mud, printed plastic, Red Lizard Mustika Pearl - type C1 (IND33), CNC milled aluminum, stainless steel, Vibe-Tribe troll 2.0 10W Bluetooth Vibration resonance speaker, GOCH - Terbium Energy Catalyst (QNSOO1) Quantum Natives / Energy Pangea, Terbium Dark Psy Energy Pack, aluminum, water. + Eduardo Terrazas, "Parteaguas (Turning Point)", 1975-2013. Digitalprint. 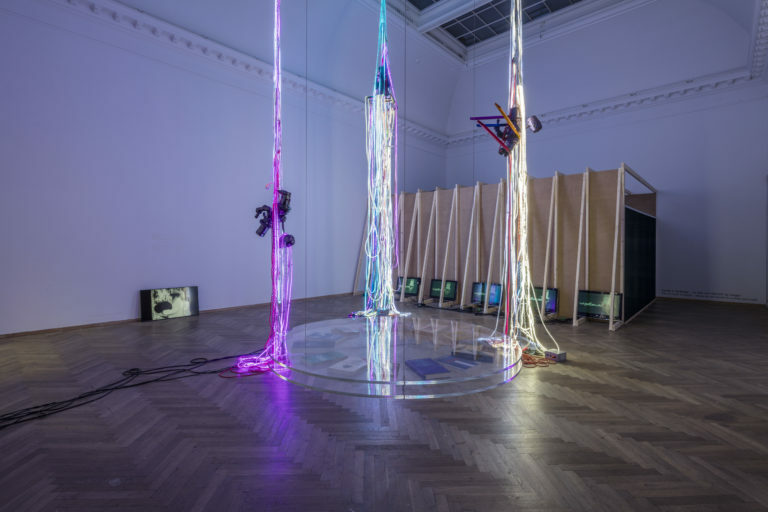 Installation view Kunsthal Charlottenborg, 2017. Photo by Anders Sune Berg. Eduardo Terrazas, 'Parteaguas' (Turning Point), 1975-2013. Digital print. 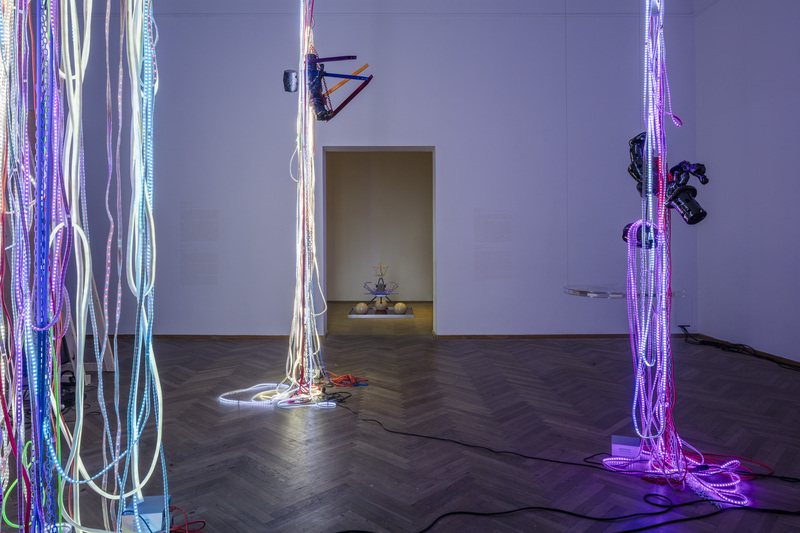 Installation view from Kunsthal Charlottenborg, 2017. Photography by Anders Sune Berg. Eduardo Terrazas, 'Exponential Growth', 2014. Video 3:12 min. Installation view from Kunsthal Charlottenborg, 2017. Photography by Anders Sune Berg. Parker Ito, "Western Exterminator/Kernel Kleenup/Little Man/Pesterminator", 2013-2015. (Automotive violet with parts) bronze, anodized automotive parts, automotive paint, nickel plating, hanging hardware. & Eduardo Terrazas, 'Exponential Growth', 2014. Video 3:12 min. Installation view from Kunsthal Charlottenborg, 2017. Photography by Anders Sune Berg. Parker Ito, "Western Exterminator/Kernel Kleenup/Little Man/Pesterminator", 2013-2015. (Automotive violet with parts) bronze, anodized automotive parts, automotive paint, nickel plating, hanging hardware. & Iain Ball, "(Rare Earth Sculptures) Terbium", 2015. Raw bay mud, printed plastic, Red Lizard Mustika Pearl - type C1 (IND33), CNC milled aluminum, stainless steel, Vibe-Tribe troll 2.0 10W Bluetooth Vibration resonance speaker, GOCH - Terbium Energy Catalyst (QNSOO1) Quantum Natives / Energy Pangea, Terbium Dark Psy Energy Pack, aluminum, water. + Tue Greenfort, "EQUILIBRIUM", 2011-2017. 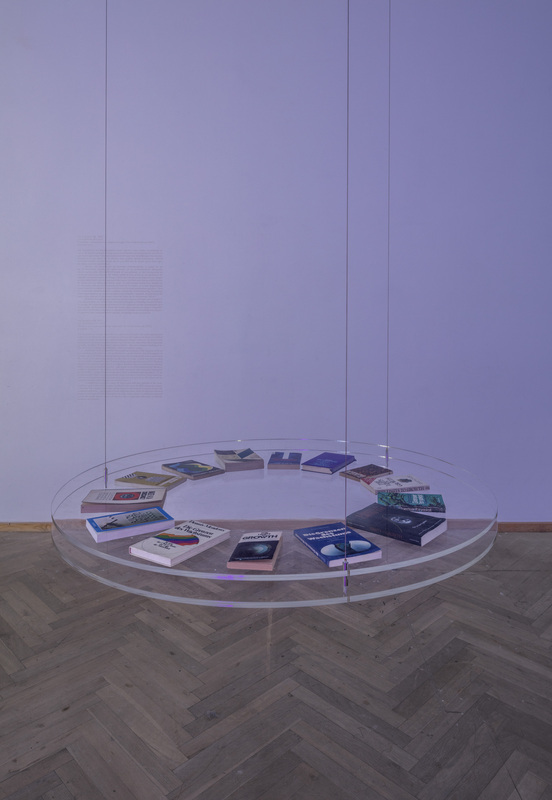 Different translations and editions of the book 'The Limits to Growth (1972), plexiglass, wire. 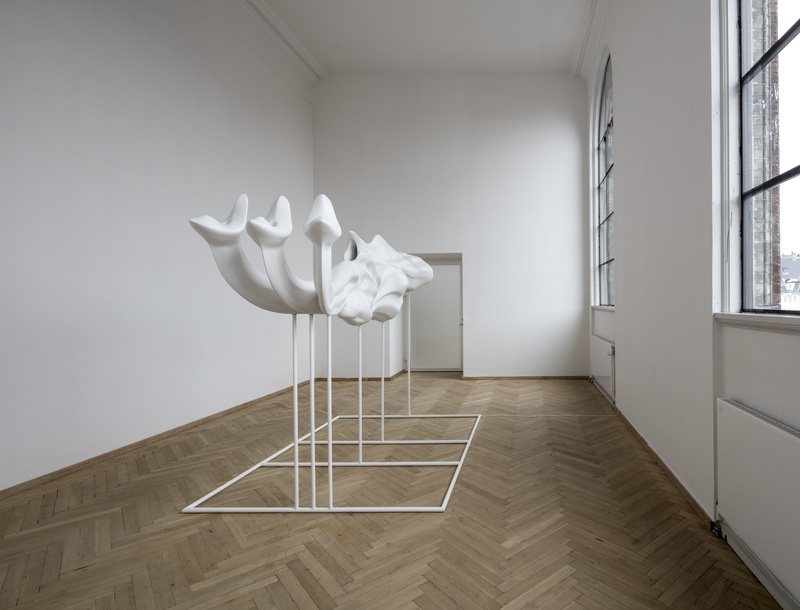 Installation view, Kunsthal Charlottenborg, 2017. Photo by Anders Sune Berg. Parker Ito, "Western Exterminator/Kernel Kleenup/Little Man/Pesterminator", 2013-2015. (Automotive violet with parts) bronze, anodized automotive parts, automotive paint, nickel plating, hanging hardware. 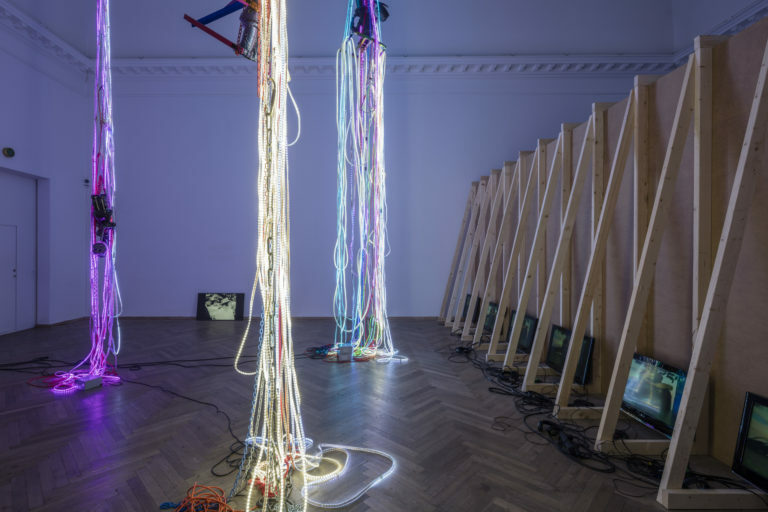 Installation view from Kunsthal Charlottenborg, 2017. Photography by Anders Sune Berg. Parker Ito, "Western Exterminator/Kernel Kleenup/Little Man/Pesterminator", 2013-2015. (Automotive violet with parts) bronze, anodized automotive parts, automotive paint, nickel plating, hanging hardware. & Eduardo Terrazas 'Exponential Growth', 2014. Video 3:12 min. 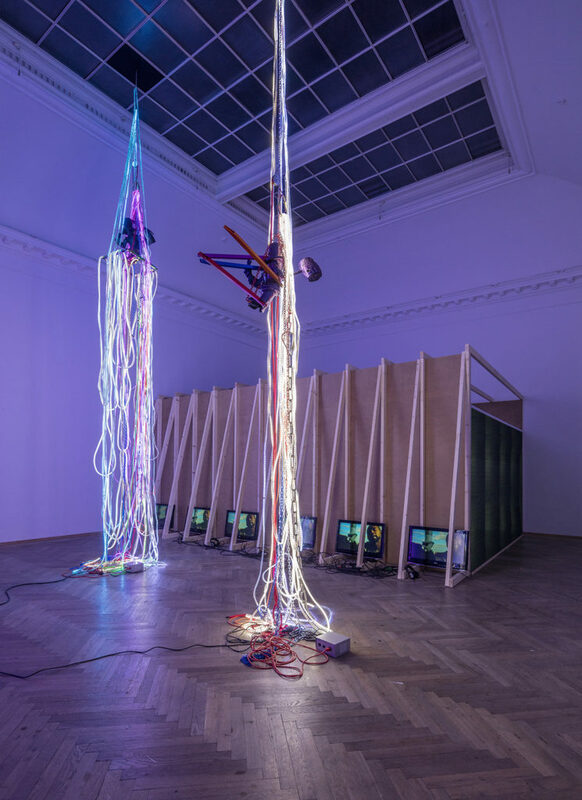 Installation view from Kunsthal Charlottenborg, 2017. Photography by Anders Sune Berg. Parker Ito, "Western Exterminator/Kernel Kleenup/Little Man/Pesterminator", 2013-2015. (Automotive violet with parts) bronze, anodized automotive parts, automotive paint, nickel plating, hanging hardware. & Iain Ball, "(Rare Earth Sculptures) Terbium", 2015. Raw bay mud, printed plastic, Red Lizard Mustika Pearl - type C1 (IND33), CNC milled aluminum, stainless steel, Vibe-Tribe troll 2.0 10W Bluetooth Vibration resonance speaker, GOCH - Terbium Energy Catalyst (QNSOO1) Quantum Natives / Energy Pangea, Terbium Dark Psy Energy Pack, aluminum, water. & Tue Greenfort, "EQUILIBRIUM", 2011-2017. Different translations and editions of the book 'The Limits to Growth' (1972), plexiglas, wire. 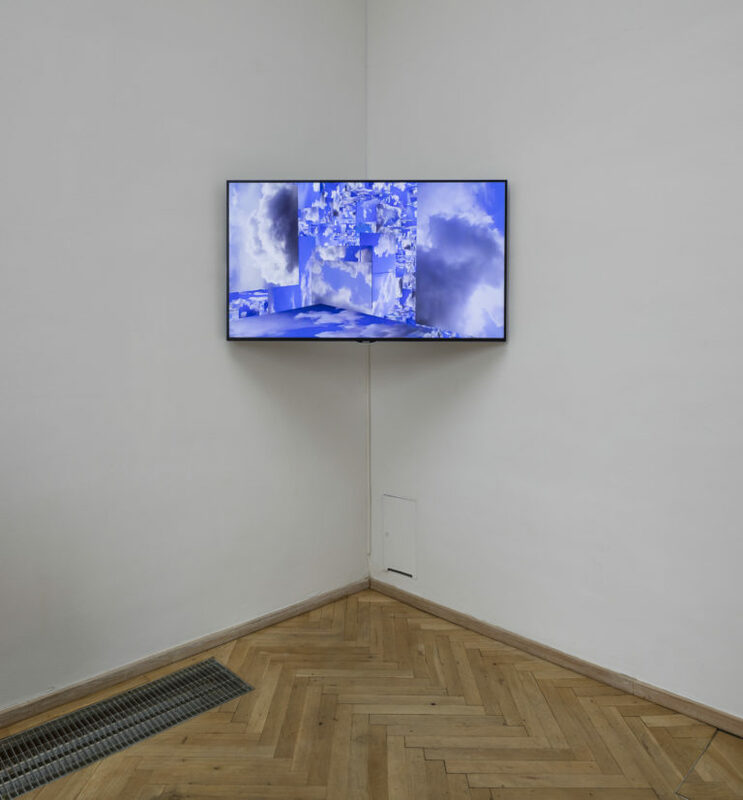 Installation view from Kunsthal Charlottenborg, 2017. Photography by Anders Sune Berg. Tue Greenfort, "EQUILIBRIUM", 2011-2017. Different translations and editions of the book 'The Limits to Growth' (1972), plexiglas, wire. & Parker Ito, "Western Exterminator/Kernel Kleenup/Little Man/Pesterminator", 2013-2015. (Automotive violet with parts) bronze, anodized automotive parts, automotive paint, nickel plating, hanging hardware. & Eduardo Terrazas 'Exponential Growth', 2014. Video 3:12 min. Installation view from Kunsthal Charlottenborg, 2017. Photography by Anders Sune Berg. D.H. Meadows, D.L. Meadows, J. Randers, W.W. Behrens III 'The Limits to Growth', 1972. Korakrit Arunanondchai, 'with history in a room filled with people with funny names 4', 2017. Filmstill. Simon Dybbroe Møller, Comorous, 2016. Filmstill.